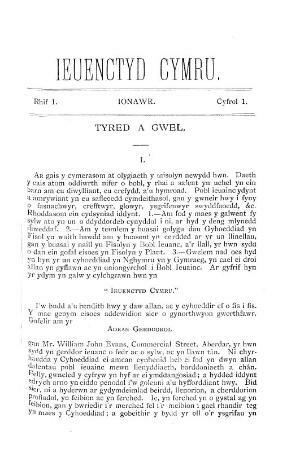 A monthly Welsh language religious periodical serving the young people of the Congregationalist churches in Glamorgan. The periodical's main contents were religious and literary articles, alongside poetry and music. The periodical was edited by the minister David Silyn Evans (Silyn), with the musician William John Evans (1866-1947) serving as music editor and Ben Davies serving as poetry editor.